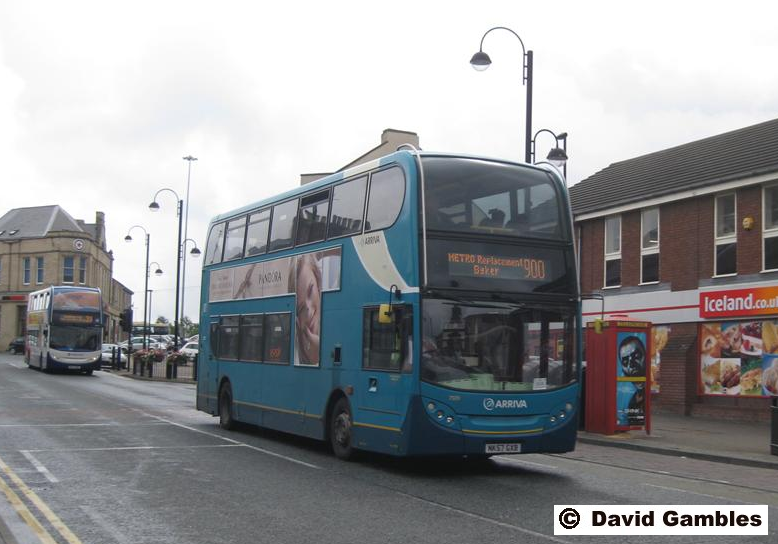 In April of this year the Focus website covered the Tyneside Metro replacement bus service which was handled by a large fleet of ex London Central Volvo B7TL's transferred north specially for the occasion. 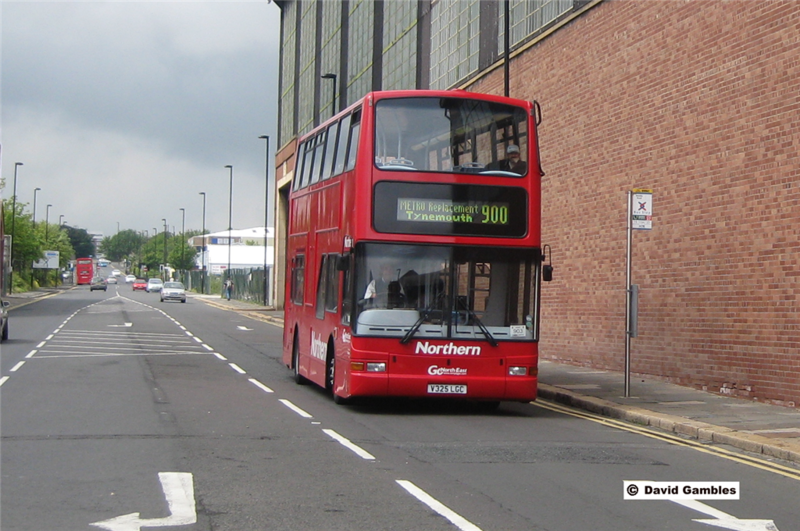 These buses have stayed in the Go North East fleet and a refurbishment programme has commenced which involves removal of the centre door and fitment of re-trimmed seats into cleaned interiors. As you will see from the attached pictures the rearward facing staircase situated in the centre of the bus looks somewhat odd now that the rear door has been removed, but passengers will hopefully soon adapt to the layout. The interiors have been improved considerably by re-trimming. 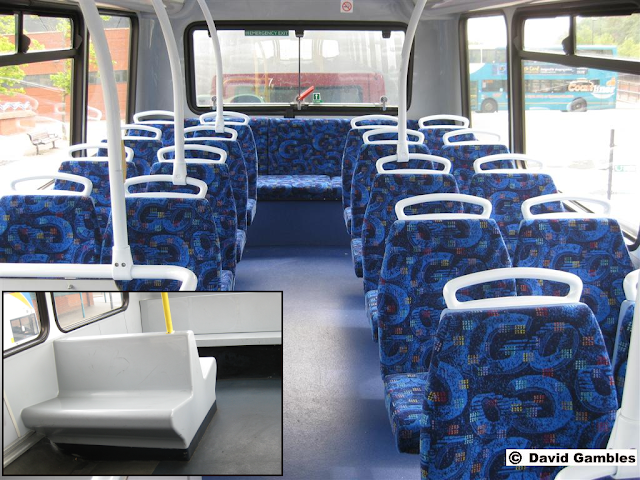 The rearmost upper deck plastic seats which weren't trimmed at all (see inset below) have been eliminated and replaced with conventionally upholstered seats. 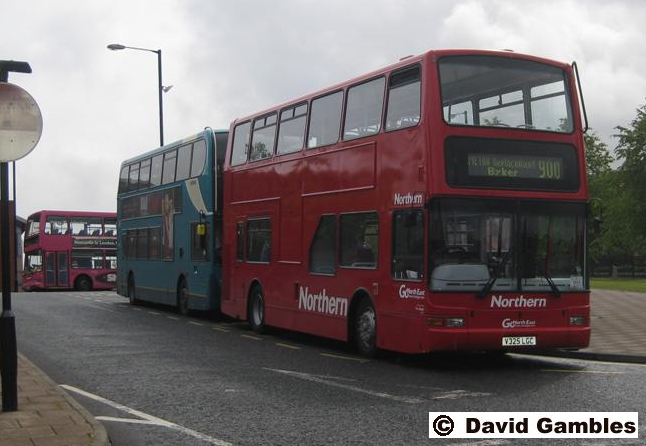 The red 'Northern' livery will be applied to all non route branded vehicles and will replace the 'Yellow Bus' branding. This weekend's service is being shared with Arriva and between the two companies provided a good selection of vehicles for the journey.